I created this altered tag box and tags for a special friend using Graphic 45's Domestic Goddess paper collection. I am including some photos below, but click HERE for my blog post and link to my video tutorial. 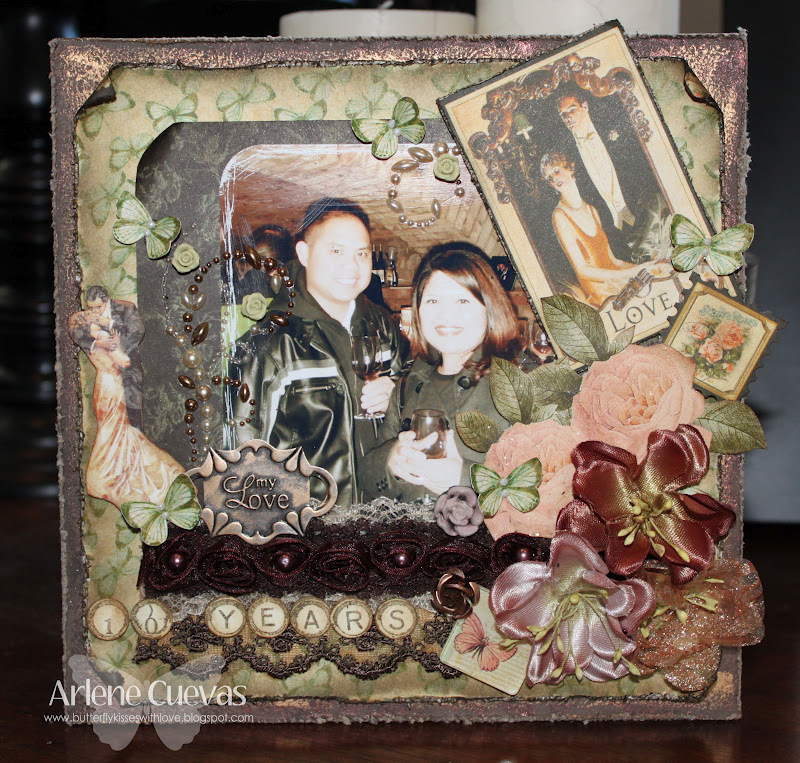 I created a few 8x8 layouts and one of them was of my husband and I in Napa for our 10 year wedding anniversary. Here are some pictures below. 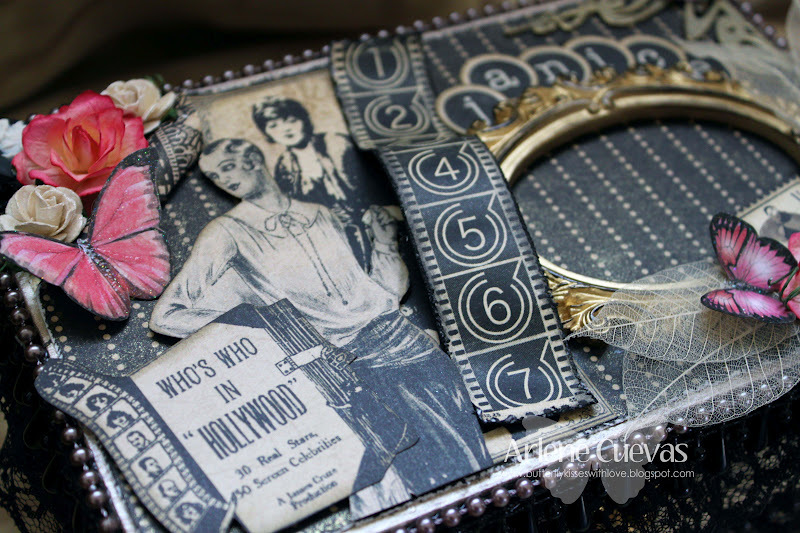 I love the Le Romantique paper collection. It's so pretty and "romantic"! 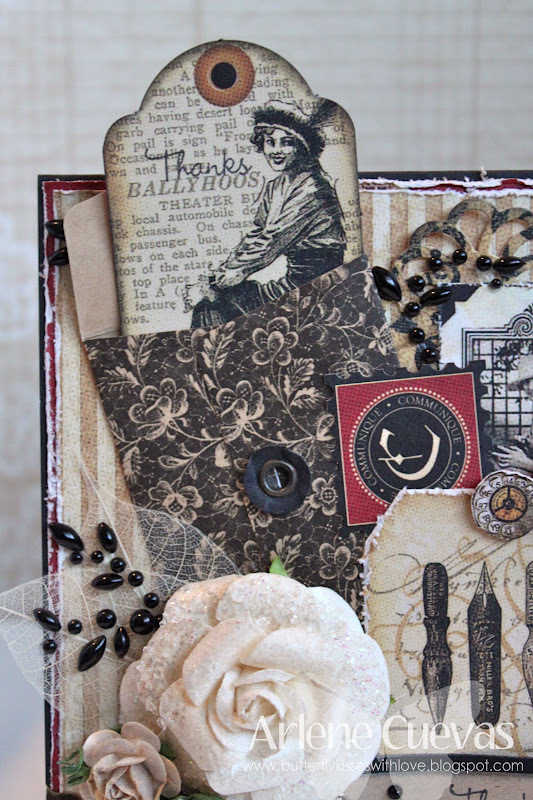 Click HERE for my blog post with additional details and pictures. 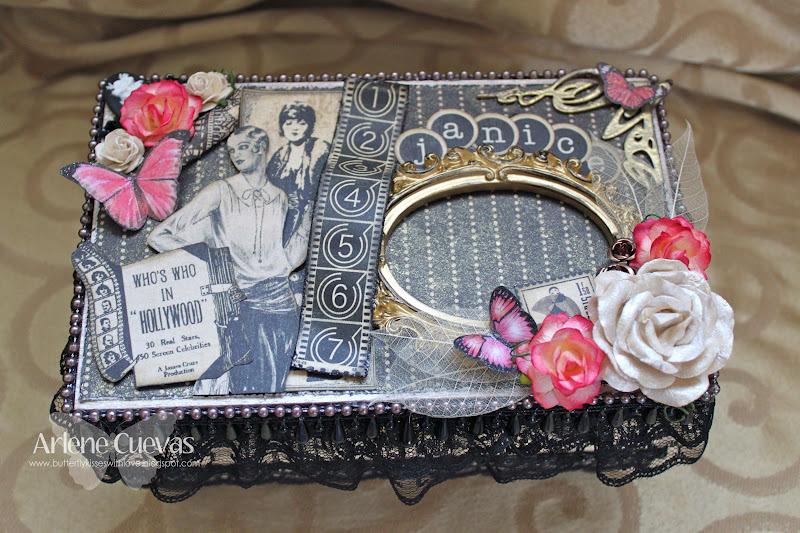 One of my passions is altering boxes and frames. 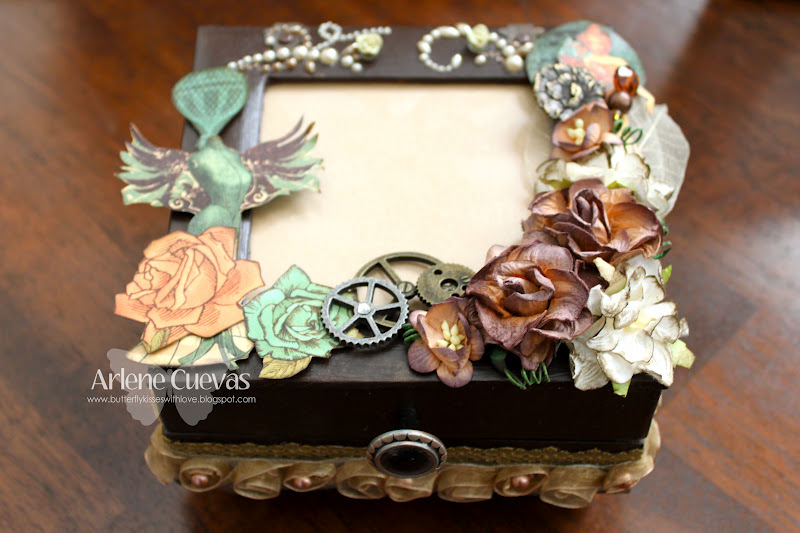 In this project, I took a balsa box from Michael's and altered it using the Steampunk Debutante papers (love, love!) I didn't stop there though...I created a little mini-mini album to go inside! 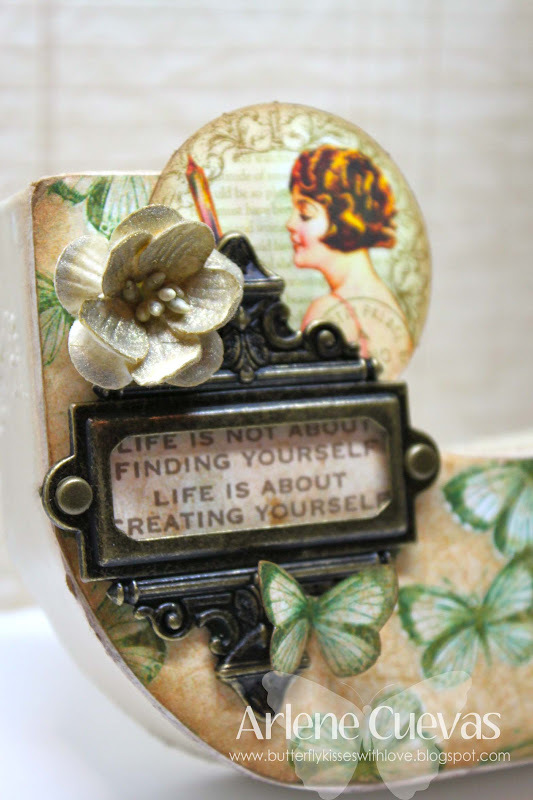 Click HERE for my blog post with additional pictures and a link to my video tutorial that has received over 11,000 hits! 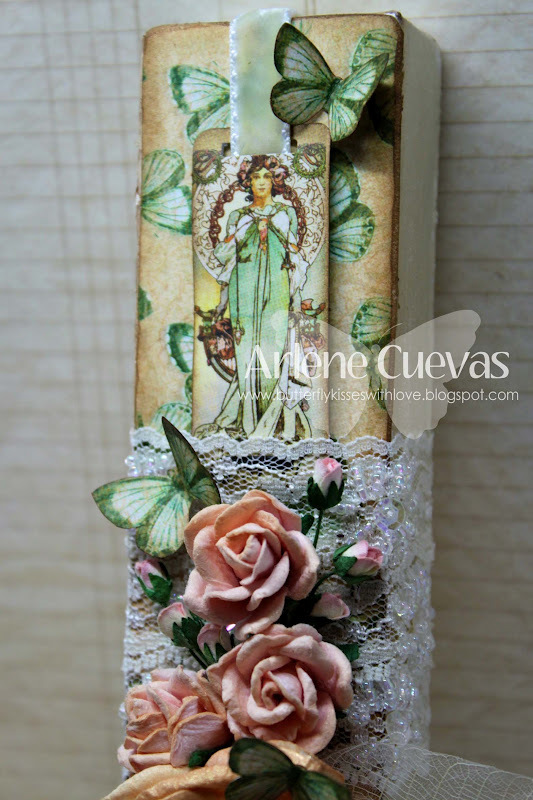 I love to recycle and why not save those toilet paper rolls to create a mini album?! :-) In this project, I do just that using the Hallowe'en in Wonderland paper collection. Click HERE for my blog post and additional pictures of this project. 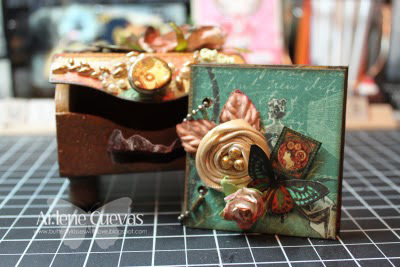 Click HERE for my video tutorial of this TP mini album! 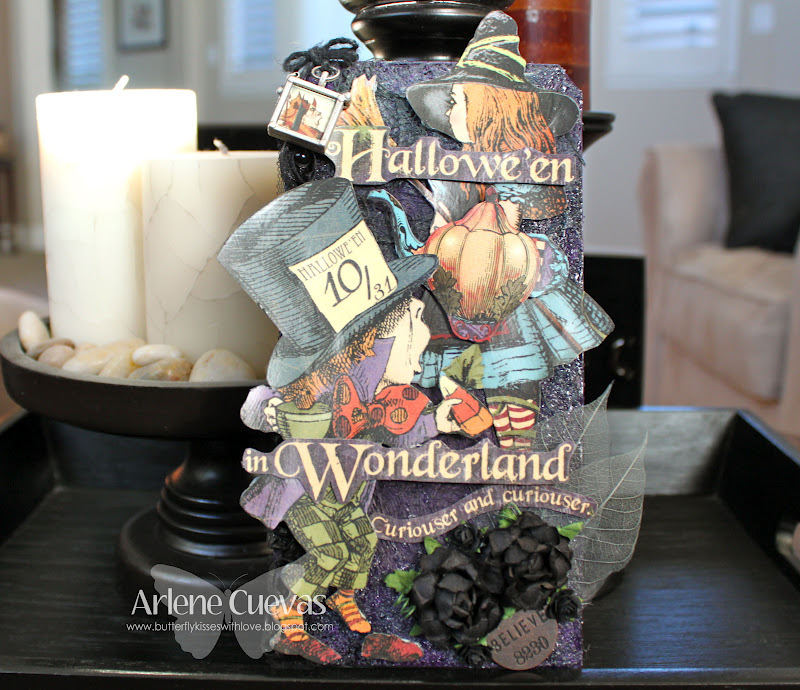 I created this extra large tag using the Hallowe'en in Wonderland paper collection. 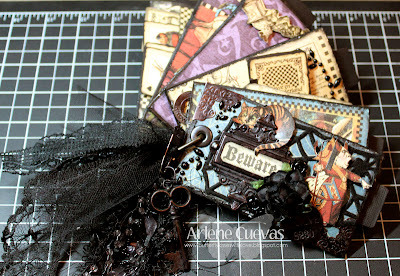 I just LOVE Alice in Wonderland so when this paper collection came out, I just went crazy creating mini albums and tags! LOL! I featured a few of them on my blog and YouTube channel. 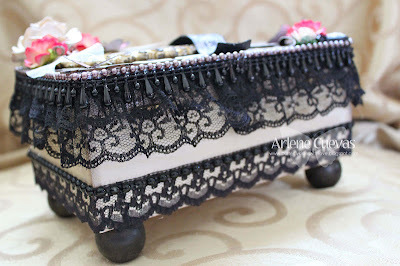 Click HERE for my blog post, which features additional photos and details. Did I already say how much I love to alter boxes? LOL! 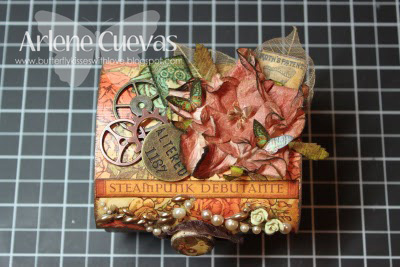 For this project, I altered a square, paper mache box using the Steampunk Debutante paper collection. I also created a mini album to store inside. Click HERE for my blog post which includes additional details. I also created a video tutorial HERE. 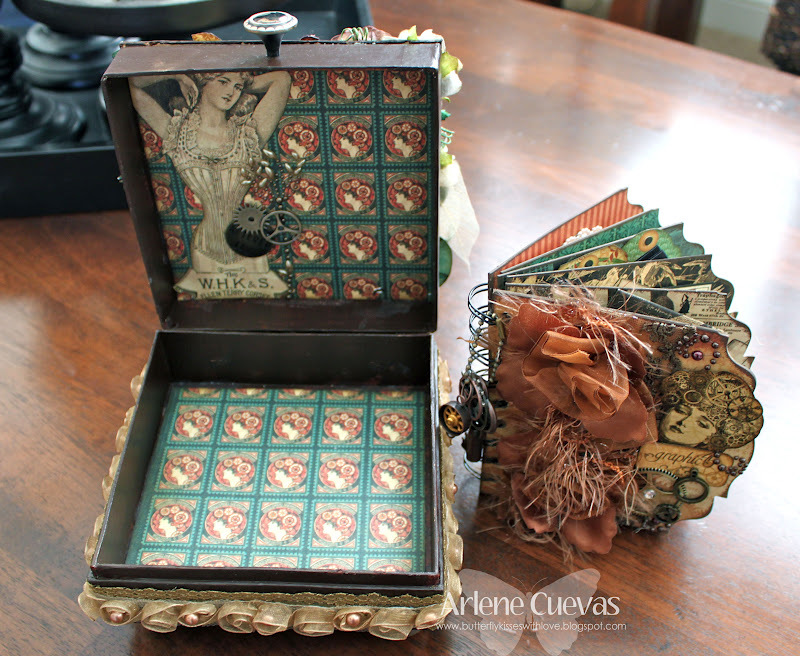 I created this altered Cigar box for a swap using the Curtain Call papers. 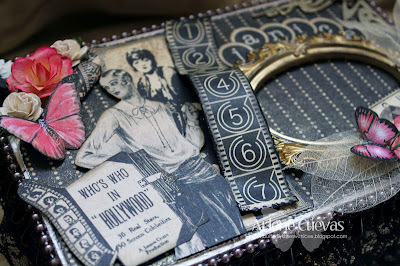 I just love the images on this collection and they are so fun to fussy cut and use on projects as accents. Click HERE to view my blog post with additional photos and details as well as a video tutorial! 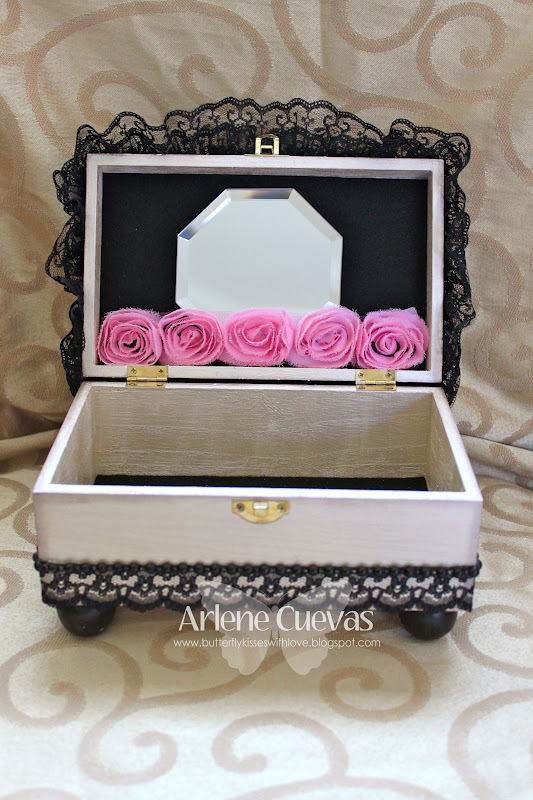 Inside I lined the box with black velvet and added a mirror and some floral trim. 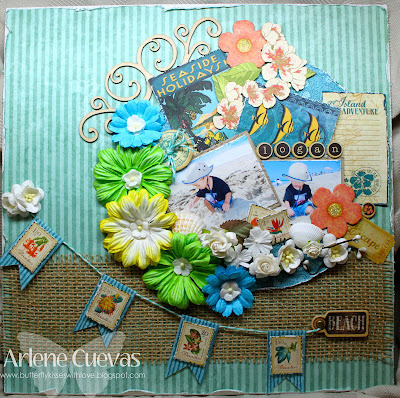 I didn't use Graphic 45 papers on this project, but wanted to share my versatility when it comes to creating scrapbook layouts. 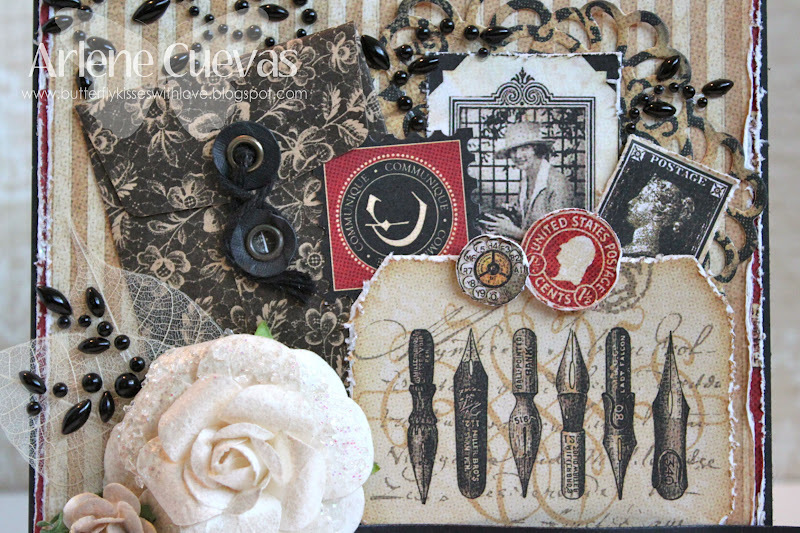 I love to layer and use various elements on a layout. On this one, I used circles as the focus of my background. And I just love my little Tim Holtz paper distresser... I use it on almost everything! LOL! 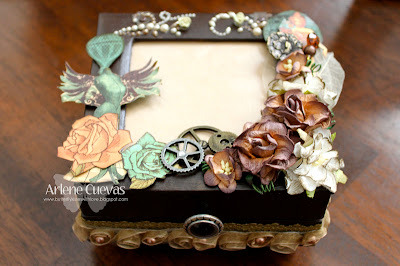 Click HERE for my blog post which contains additonal photos, details and a link to my fun video tutorial! 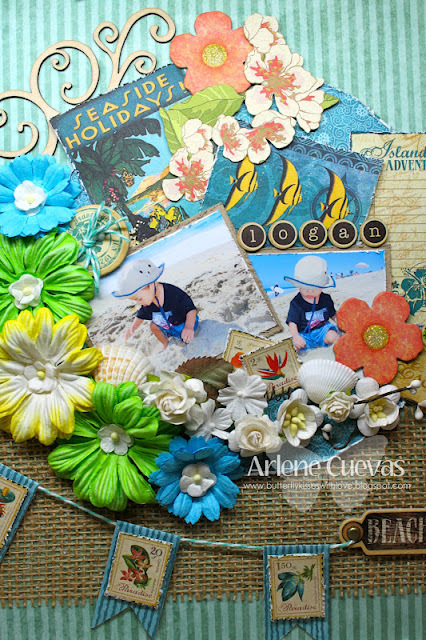 I am so in love with the new Tropical Travelogue paper collection. I couldn't wait to scrap the pictures of my son Logan that were taken at Carlsbad beach a few summers ago. I just ADORE summer time and the colors of this paper collection are PERFECT! 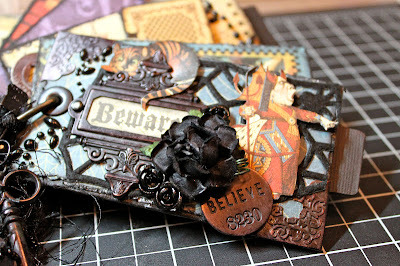 Click HERE for my blog post of this project, which contains products details and a link to my video tutorial. I created this thank you card for a very special friend of mine who is just so super amazing! She deserved something extra special! 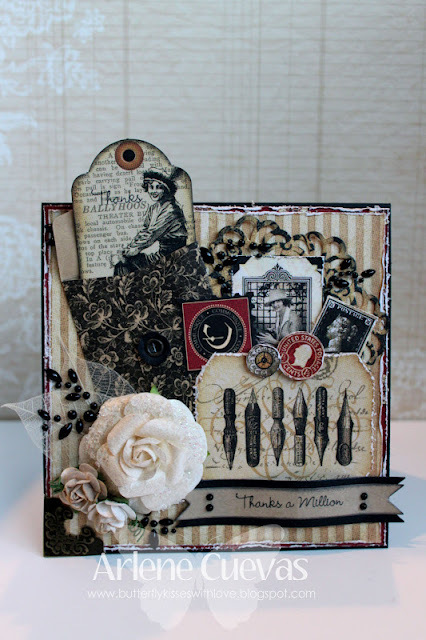 I did a ton of layering on this card using the Communique paper collection. I also added an Envelope Tag to add some interest and an additional layer. Click HERE to view my blog post for this project as well as a video tutorial. 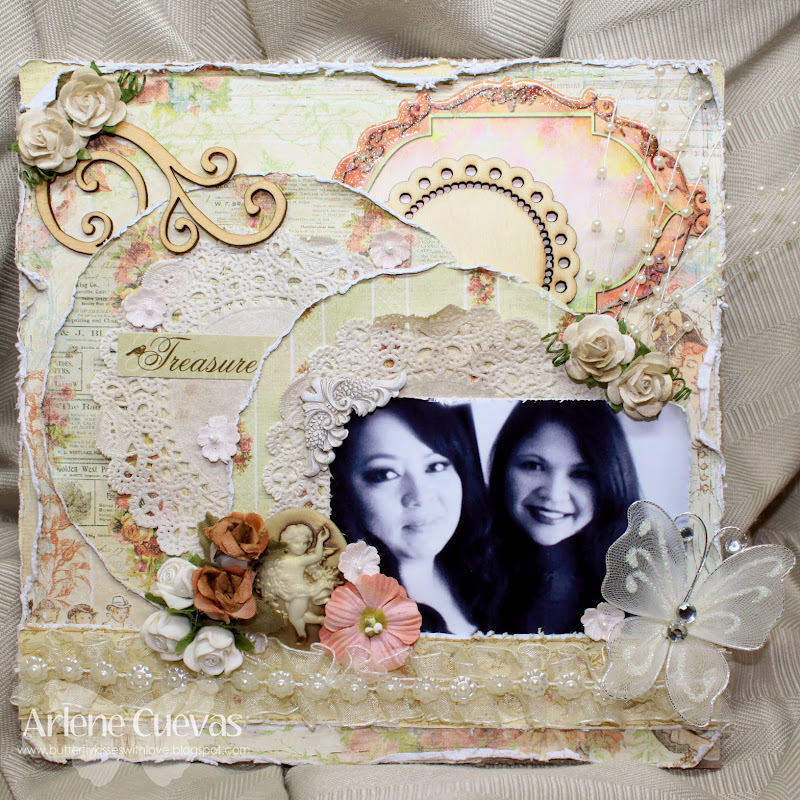 I created this altered J for a special friend using the Le Romantique paper collection. 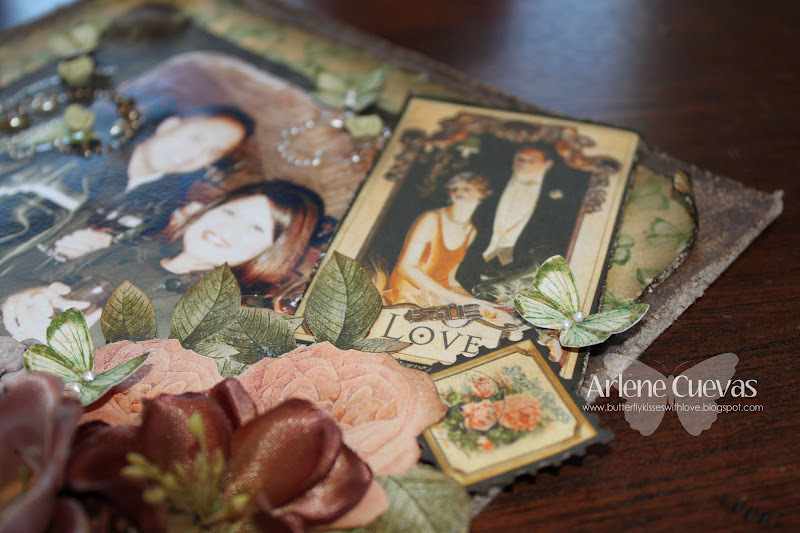 She loves butterflies just as much as I do, and the butterflies in this collection were PERFECT for the background paper I matted over the "J" using glossy accents. For details, additional pictures, and a video tutorial, check out my blog post HERE. 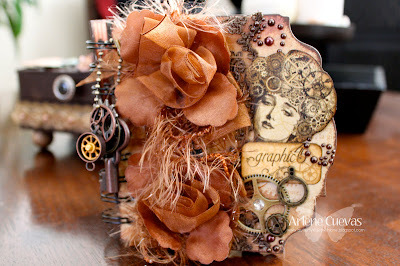 If you'd like to see more, check out my "Graphic 45 Blog post" project folder HERE. Oh Arlene, they would be crazy not to pick you for their team! Wishing you the best of luck! All those projects are so baeautiful and creative !!! I wish you good luck and really hope that your dream will be true soon ! Absolutely BEAUTIFUL creations!! Good luck with the call! no one does G45 like you do!!!! Amazing and GASP, looking at all these projects just makes my scrappy knees weak!! you are completely, 100% UBER talented! 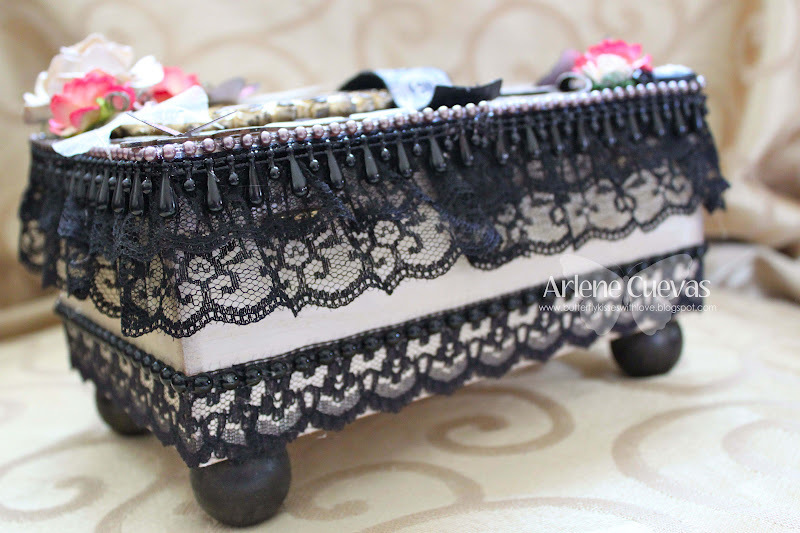 love all your detailing and creativity in them..... WOW!!!!! Beautiful and creative projects Arlene. You are a great fit for Graphic 45 and they would be lucky to have you on their design team. GORGEOUS !!!!!!! 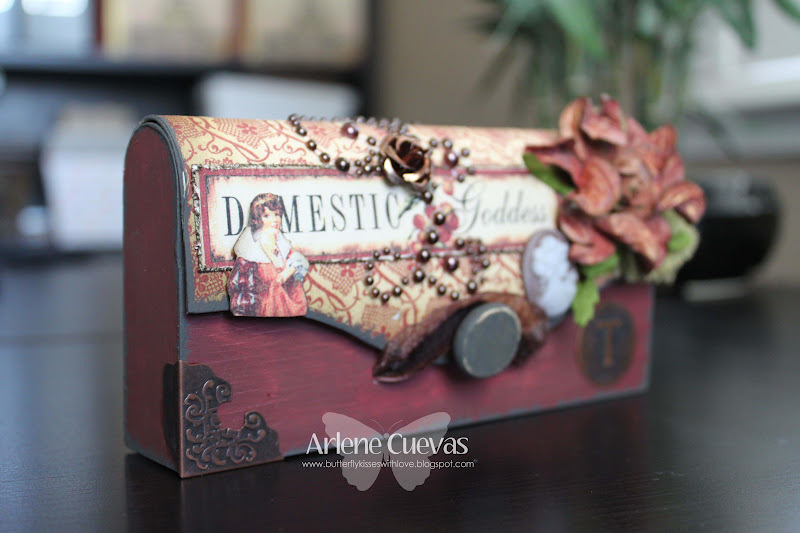 Arlene all of your projects are amazing!!!!! Graphic 45 would be sooooo lucky to have you!!! You are extremely talented good luck!!!!! OMG, Arlene your tags and boxes and the whole line up of projects is GORGEOUS. I think you will be on the Graphic 45 team very soon. 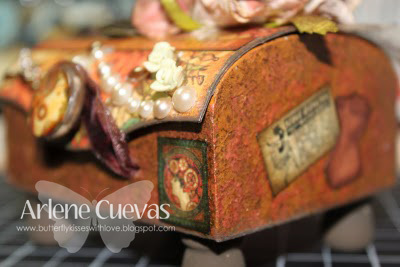 I love the way you alter the boxes and the choice of paper you use is beautiful. Hugs and Good Luck! 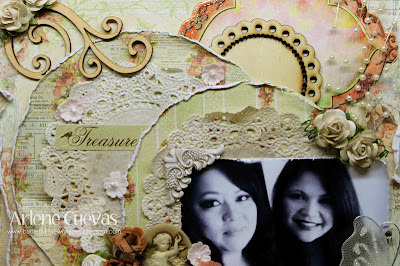 WOW, they would be crazy not to have you on there design team, absolutly gorgeous projects!! Good luck !! 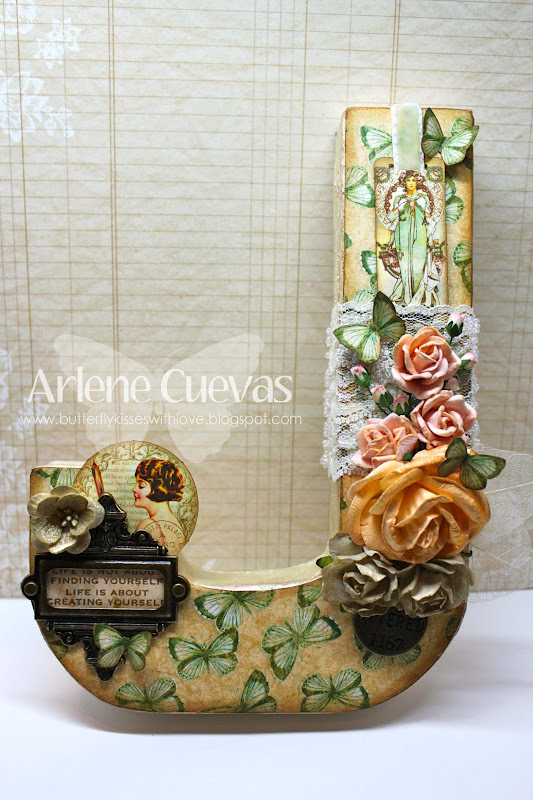 Just beautiful Arlene! It's simply a gift how you put things together! Congratulations on the Graphic 45 top 30!! Congrats on making the top 30!! Wonderful work! Congratulations on the top 30. Good luck in the next round. Your work is beautiful! Congratulations Arlene! I think you're a sure win. You are so talented....and already have a great fan base which probably already brings much exposure Graph 45's way. You would be such a great addition and can't wait to see your projects on their design team. I have been a Huge fan of yours for a while now and your creativity is just amazing girl! You would be a an outstanding asset to the G45 design team! I always look forward to new videos and blog posts from you! 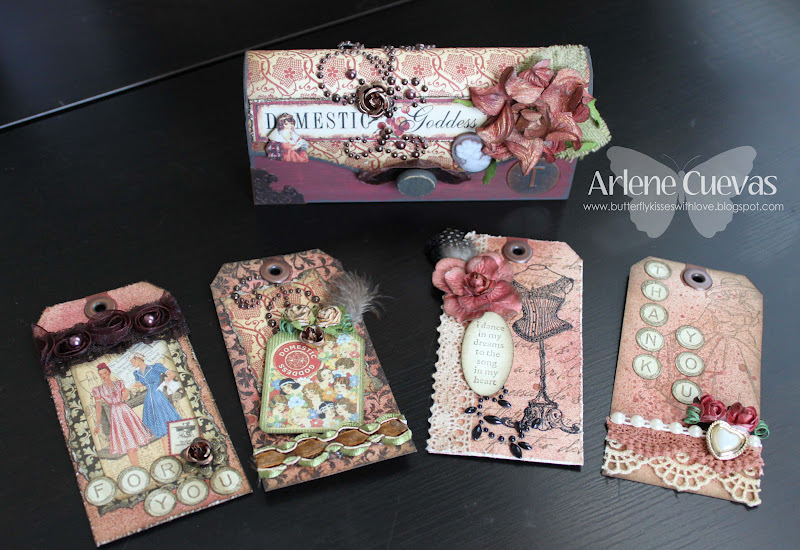 Arlene, once I found you on You Tube, I was intantly hooked! 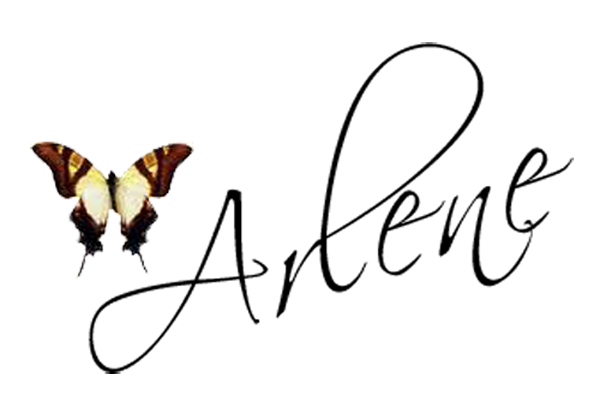 I am amazed at your creativity and attention to detail. Your work always looks flawless. Keep inspiring all of us and I sincerely wish you GREAT LUCK on this DT call! 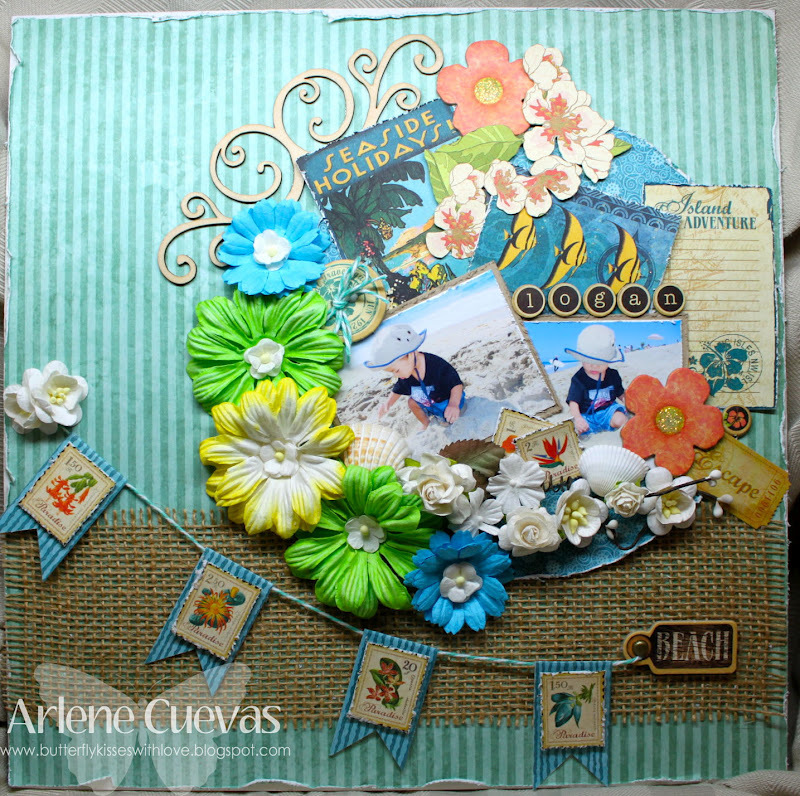 Your use of flowers and trims and your fussing cutting are outstanding! Congrats on your G45 Top 30! 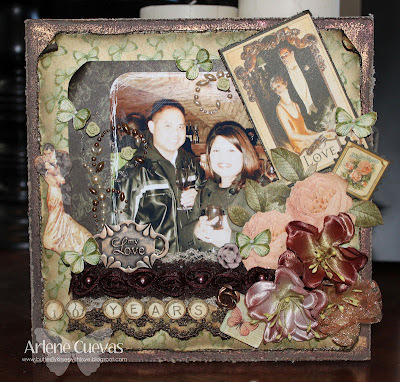 Absolutely gorgeous projects, Arlene! Congratulations on your G45 top 30 spot! Congrats on making the Graphic 45 Design Team! Lovely Lovely Projects, congrats on making the team. Hi Arlene! Just wanted to stop by and say CONGRATS on making the Graphic 45 Team! Your work is perfect for Graphic 45. As soon as I found out on you tube that you were trying out, I knew you would make it! I am not sure where you find the time, lol! Congratulations and keep on doing what you do! Congrats on making the Graphic 45 team... love your submissions. Looking forward to your projects this year! Congratulations on making the team and sharing so much inspiration with us. I am a loyal You Tube follower of yours and i cannot wait to see where the journey takes you (and all of us) this year! Congratulations, Arlene, on having your dream come true! As always, your creations are just fantastic! I can't wait to see what you create for the team this year!